This post has been compensated by Basic Invite, all opinions are mine alone. I always put so much pressure on party invitations. I want them to be perfect because they are the first impression of the party. I want the invitations to completely set up the scene and atmosphere of the party, even before the party starts. I love throwing parties, but I put a lot of stress in the planning. They are exhausting and exhilarating at the same time. But one thing I know for sure, through all of the parties I have thrown I have learned a lot. I want to share some birthday party tips I have learned along the way. 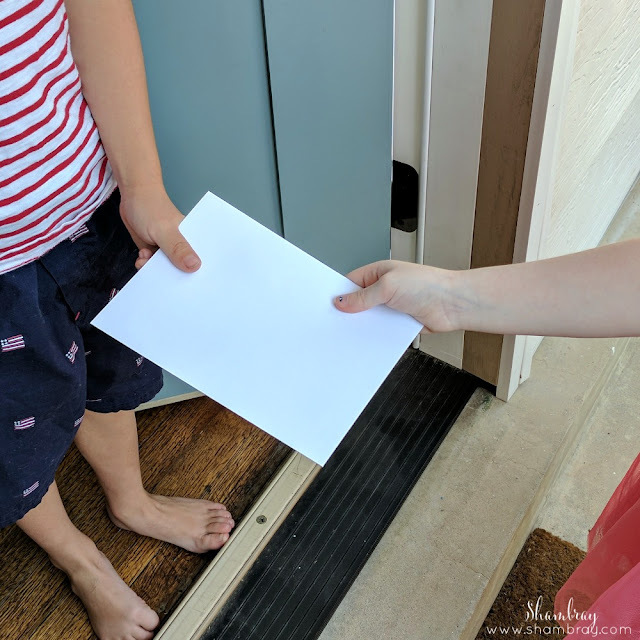 Specifically in this post I want to talk about invitation tips and ideas. 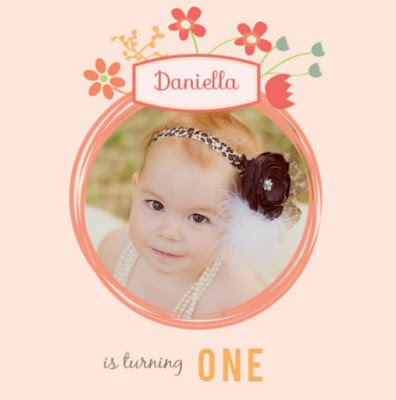 I can't wait to show you the invitation for my daughter's 2nd birthday party. Also, share with you a fantastic website that helps take the stress out of the party invitations completely. 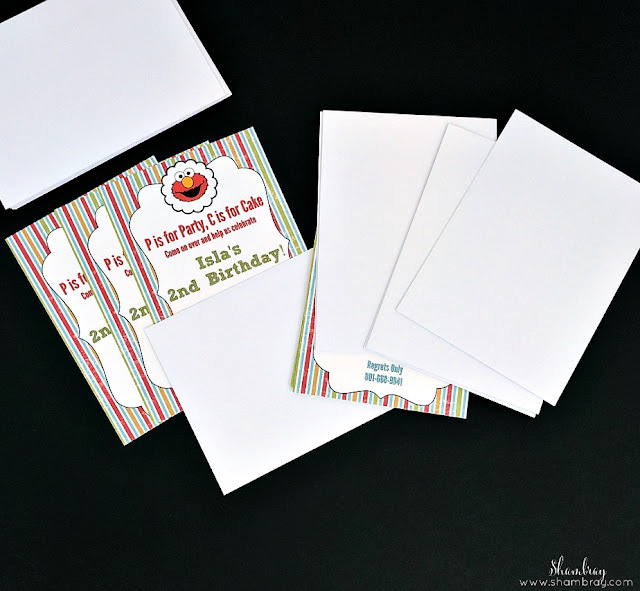 Tip #1: Always have a solid theme before even thinking about the invitations. Bonus points for additional color scheme. That way you can have a solid idea on what you are looking for when coming up with an invitation. Tip #1 in action: I knew that my daughter's birthday party would be Elmo themed. I didn't think about specific colors, BUT I knew the colors had to go with red. 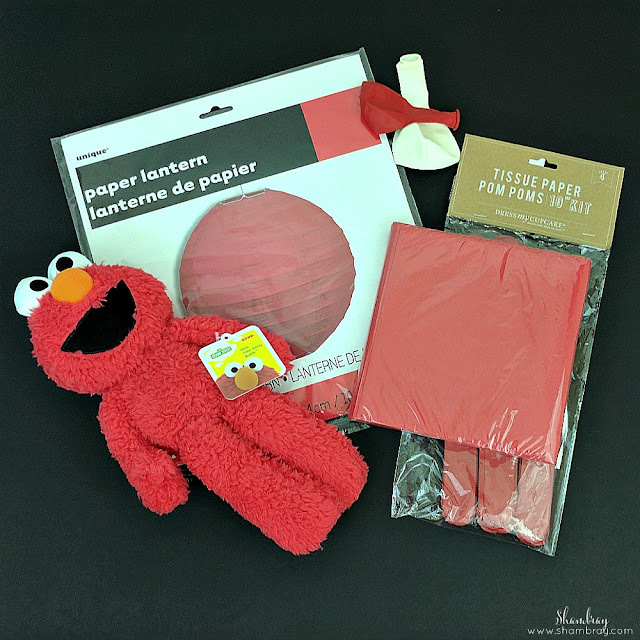 Of course red, because Elmo is red. 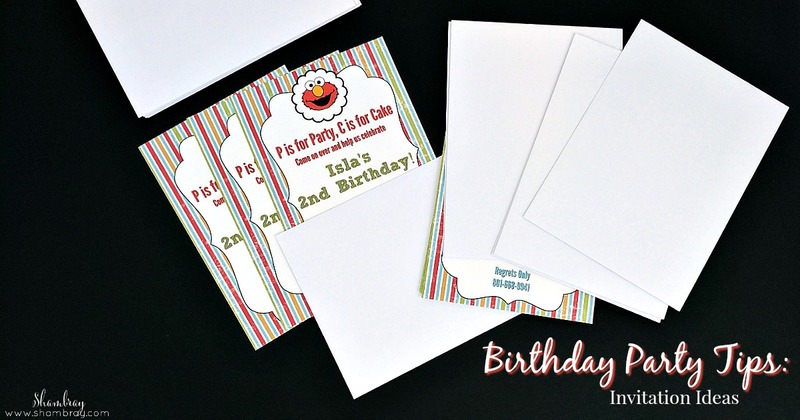 Tip #2: Design and choose an invitation one month before the party. It's really important to get them printed right away so you can get them sent out soon. You can design your own or pick a design from a website. That way the hard work is done. Tip #2 in action: I have found that getting the invites printed a month before the party is the best timeline. That way you have time to get them printed and sent out in enough time, but also not too soon. I knew I wanted to design my daughter's invitations, but that is because I enjoy doing stuff like that. IF I DIDN'T ENJOY IT I WOULDN'T DO IT. If that is something that stresses you out please just pick a pre-designed template. Basic Invite has so many options. So many. See details below on how to upload your own design and also how to choose from all the designs already on the website. Tip #3: Send out the invitations (or pass them out if people live close) 3 weeks before the party. Like I said before this timeline has never failed me. If people get the invites 2-3 weeks before the party then they have enough time to get it on their calendar, but not too much time to forget about it all together. The most simple way is to choose from the many designs already on the website. I was amazed at how many choices there are on there. They are all beautiful, fun, and amazing! The second way is to upload your own design. This one is more time consuming and I say to ONLY do it this way if you enjoy designing invitations. If you don't then look at the hundreds of options already there. You have to use a JPEG file. Your JPEG has to be exactly as you want it when you upload because you won't be able to make any customization options on the card itself. You are able to change the card cut and paper type, but you won't be able to add font or change colors. Give yourself some room on the top and the sides so nothing will be cut off when you upload. Choose the design you want to use and click on it. Depending on which design you picked it will look like this. Click on the invite template and a pop-up will prompt you to "add or select photo". Click on the "+" sign. There will be multiple options for choosing your photo. Click on the option that works best for you. More than likely you will want to choose "Upload photo". Chose the image you want to use. Remember: it has to be a JPEG and it has to be completely finished when uploaded (you can't make any changes after). Once your photo is uploaded, chose your paper and card cut and proceed to checkout. "The love it guarantee"-In short, either you love it or they make it right. You can collect addresses for free. Many options for envelope colors. Most card options include peel and seal envelopes. Invitation designs for all life's events! This on is a pre-designed one! Isn't it so cute!? Ok, it's official! You are a party genius. I loooove this so much!